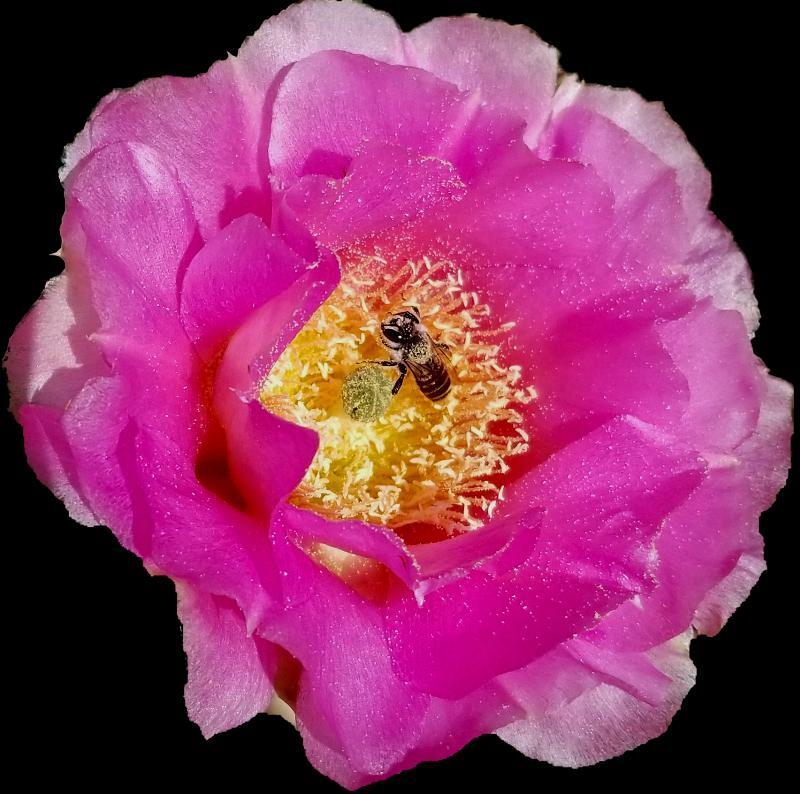 A small bee on a cactus flower in my front yard. Samsung S8, 4.25mm@f1.7 and 1/3208 sec, ISO 50. Extracted from much larger image and removed from BG in camera. All PP in camera except for resizing to 800px for posting. All C&C welcome. Please click on image. The dark background you inserted really makes the colorful blossom stand out well, Joe. It is a beautiful flower which reveals good detail, and the sharp little bee is a bonus. Very nicely done. Great choice for the background- lovely textures and colors in the flower with the bee perfectly placed. Nice depth in the center. A very pleasing image that I could enjoy looking at any time I wanted cheering up! You really have to click on this one to fully appreciate how lovely it is! The dark bg certainly does enhance the beauty of this pretty blossom. Well done, Joe! Thanks, Carol. Your comments are always appreciated.